This offer provides a perpetual subscription to DocuSign Standard Edition for one user. The license allows the user to send up to 100 documents a year. See the Subscription Details section for more information. Comments: Senders and signers can post comments, questions and answers inside documents and be notified in real time of new comments and replies. Comments are saved as part of the transaction. Learn more on DocuSign's website. This subscription includes DocuSign's Standard Support Plan. System Requirements: See DocuSign system requirements. Perpetual License: This donation provides a perpetual license. It does not expire or need to be renewed. Existing Subscribers: Existing DocuSign customers may not request the TechSoup offer to renew their subscriptions. 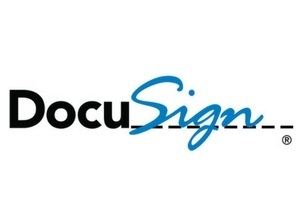 ​DocuSign's home page features a short demo video. If you've participated in a free DocuSign trial, you'll need to create a new account using a different email address to receive this donated subscription. Trial accounts cannot be converted to accounts obtained through this offer. Credit Card Required: Organizations will be required to provide credit card information when signing up for DocuSign.